Keebles are a Yorkshire based team of conveyancing solicitors offering expert legal advice from our offices in Leeds, Doncaster and Sheffield. It is our priority to provide a personal service of the highest quality at an affordable price. We are one of Yorkshire’s largest law firms, committed to providing the best possible service to all of our clients. Whilst we may be big in size, we retain the same core focus and dedication to our clients and providing them with the legal solution they require. When we say we are client-focused – we mean it. Our 200 year history providing legal services in the Yorkshire area has given us an extensive level of practical experience in the industry. We know the situation you are in, so we know how to get to the heart of your issue promptly. Our familiarity of the business means that will be able to provide you with the service you need right from the start. We are devoted to our clients, creating a strong relationship and comfortable atmosphere which ensures they feel able to contact us at any time. We are always on hand when you need us. 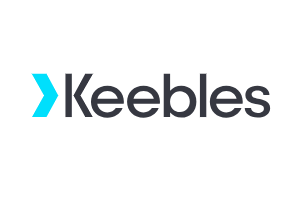 We know that moving house is a stressful event, but when you select Keebles to conduct your property transaction the buying and selling process will be straightforward and as stress free as possible. All members of staff are experienced and you will be provided with a specific point of contact that will be up to date with the progression of your property sale or purchase in understandable, plain English. We offer each of our clients a service that is bespoke to their needs, working on a one to one basis to ensure we are aware of all their requirements. This will help to guarantee a service that is efficient and successful. We use the latest, modern technology to make sure that your case proceeds with ease. We are approved members of the Conveyancing Quality Scheme (CQS) and we are recommended in the Legal 500, displaying our professionalism and the high standards we bring to our work. Quick and efficient, Natalie answered any questions I had. Thank you for taking the time to leave your feedback. We are sorry that you were not completely satisfied with the service provided, but i am pleased to note that your purchase completed very fast by industry standards (under 6 weeks). We take client contact very seriously, going so far as to having a dedicated sales progressor to ensure that files are regularly reviewed and clients updated. We will of course take your feedback on board and wish you all the best in your new property. very quick, took me less than 2 months to finish a house purchase, but Keebles wasn't good at updating me with the progress. Many thanks for your feedback and I am pleased that this went through for you nice and quickly. We are always looking at ways to improve our client experience and will take your comments on board. Our experience from Daniel at Keebles was excellent in all respect. I wish to record our thanks most profusely for his help, patience & humour throughout this process. We could have wished for no-one better to handle our side of things. This was not the cheapest quote from Really Moving contacts - but we checked reviews and thought it looked the best. The sale of our property was handled really well - all questions were dealt with immediately, and in a very accessible way. Daniel and colleagues dealt with the buyer's solicitors well, and ensured there were no delays and that all went through very smoothly. The small additional cost over some competitors, we feel, was very well worth the ease and peace of mind which the excellent service gave us. Very friendly and straightforward service from all who I contacted. The addition of a online tracker would benefit customers but I always received prompt replies. Dealt with everything via email which suits my working day really well.